More news from Falcon Structures! We were recently awarded the prime contract for the development of a C-IED Mout training complex with the Department of Air Force, Special Operations Command. Falcon has been working with the military creating training structures and training solutions since our company inception in 2003. This project is very exciting as it will utilize all of Falcon’s specialties in fabrication and design and it is our first project with the Air Force Special Operations Command (AFSOC). We will be developing a simulated city made out of containers to replicate the military live action and environment that our troops need to be prepared for in overseas actual combat. This simulated city will be designed to defeat the tactical challenges of improvised explosive devices (IED) as well as the strategic challenges of defeating the network that emplaces the IEDs. The simulated city project will include the design, fabrication, installation and integration of more than 570 containers into more than 350 buildings and associated instrumentation, control and after action review facilities. Falcon Structures will be locating these structures on Melrose Air Force Range (MAFR) in Cannon Air Force Base (AFB), New Mexico. Cannon AFB is a United States Air Force Base, located approximately 7 miles (11 km) southwest of Clovis, New Mexico. 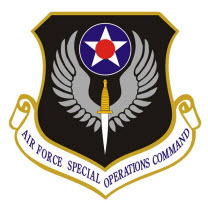 It is under the jurisdiction of Air Force Special Operations Command (AFSOC). The Melrose Air Force Range (MAFR) is the primary training range for the host unit at Cannon -the 27th Special Operations Wing (27 SOW) assigned to the Air Force Special Operations Command (AFSOC). Falcon Structures is proud and excited to be a part of project that increases the success of the training missions of our troops and their safe return home.